Don’t expect to see arrogant birdmen or time travelling dictators in Guardians of the Galaxy 2, or at least not these specific ones. 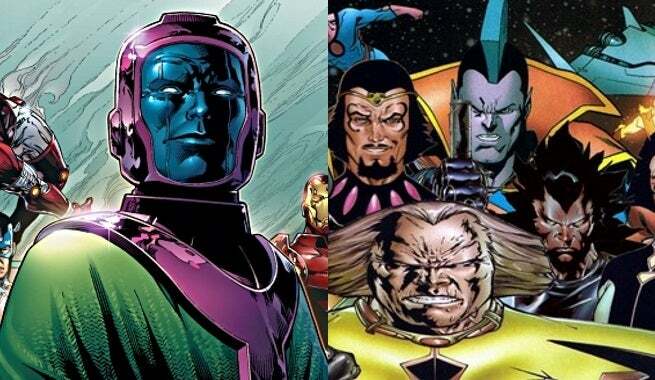 Director James Gunn has clarified that the movie rights for both the Shi’ar Empire and Kang the Conqueror are owned by 20th Century Fox. Gunn clarified this point in the comments section of a Facebook post, when a fan asked if he would consider using either the Shi’ar or Kang in Guardians of the Galaxy 2. Shi'ar and Kang are both owned by Fox. All decisions about who is in GotG2 were made a long time ago. The Shi’ar are likely linked to Fox’s X-Men rights, since the avian empire was introduced in the pages of X-Men. They’re also intertwined with the mythology of the Phoenix Force, which has frequently taken possession of Jean Grey and other of Earth’s mutants. The original “Dark Phoenix Saga” culminated with an epic battle between the Shi’ar Imperial Guard and the X-Men, with Jean’s life hanging in the balance. Kang the Conqueror has been a nemesis to both the Fantastic Four and the Avengers. He first appeared as Kang in an issue of Avengers from 1964, but appeared as Rama-Tut in an issue of Fantastic Four a year earlier. What likely solidifies him under the Fantastic Four film rights is the fact that his alias is Nathaniel Richards, and that he is a distant future relative of Reed Richards. Cosmic characters seem to be a particularly contentious area where character rights are concerned. Gunn has previously mentioned that he wanted to use the Badoon in the first Guardians of the Galaxy, but was forced to swap them out for the Sakaarans, since the Badoon are also owned by Fox. This does also mean that if Fox ever gets the idea to send the X-Men into space, or do some time travelling with the Fantastic Four, they’ve got those toys in their toybox.